Adequate number of toilets and Wudhu facility. Carry water jug, (e.g. large, empty STA-SOFT bottle), for toilet. Adequate space indeed for Salaat. Eating facility not at par and very expensive. Carry canned drinks and dry food with you as transit time maybe 5-6 hours. Alternatively, you could go into town for a short while. 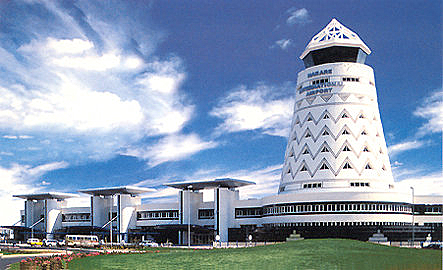 Lusaka to Dar es Salaam is 3.5 hours flying time. Dar time is one hour ahead of Lusaka time. Good food and service on board - food supposed to be Halaal on all Air Tanzania flights. Dar airport has no secluded area for prayer but enough space available for Salaat with Jamaat. 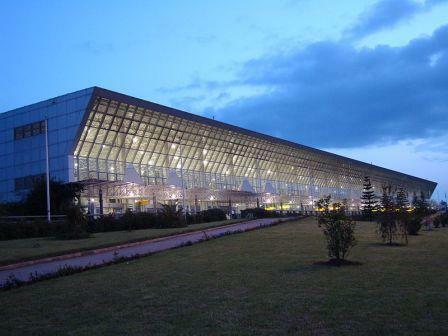 Airport has very poor ventilation and is very hot and humid. Carry water jug for toilet. Water shortage and thus water usually available in 210 litre drums outside the toilets. Area for donning Ihraam not sufficient. Eating facility good - both ordinary and five star restaurants available. “Duty Free” shops in transit lounge owned mainly by Shias - Gujurati / Urdu / Meman speaking. Compulsory 1-2 days stay in Dar at a hotel paid for by Air Tanzania. Dar to Jeddah via Yemen for dropping passengers and refuelling only. Jeddah passengers do not disembark. 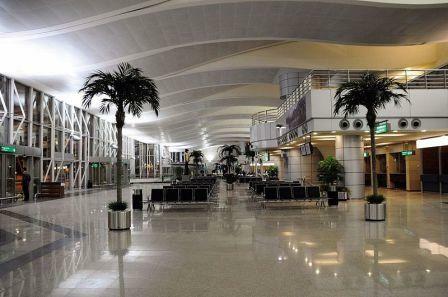 Dar to Jeddah flying time 6 hours, less 45 minute stopover in Yemen. No time difference between Dar and Jeddah. Return flight uses the same route, minus the night stop in Dar. Lusaka to Nairobi 3 hrs flying time on Kenya Airways. Nairobi time is one hour ahead of Lusaka time. Comfortable flight – Boeing 737. 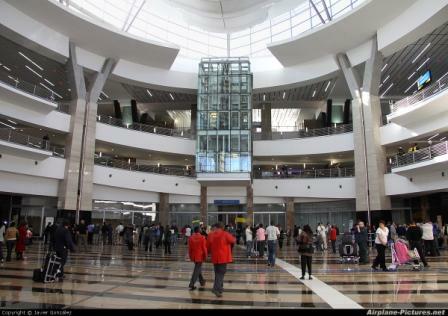 Long transit time at Nairobi, (up to 4 hours), therefore carry snacks and food, as food is quite expensive. Nairobi has secluded prayer area, (near gate No. 12), with a red carpet with the direction of the Qibla marked by an arrow on the wall. Salaat timetable also available. Carry jug/bottle for the toilets. Adequate number of toilets, (3), including a low pan type near Gate 12, with 3 basins for Wudhu and very clean. Tissue paper available in the toilets but advisable to carry with you. Plenty of water in the basins but sometimes water switched off. First class lounge $30 per person. 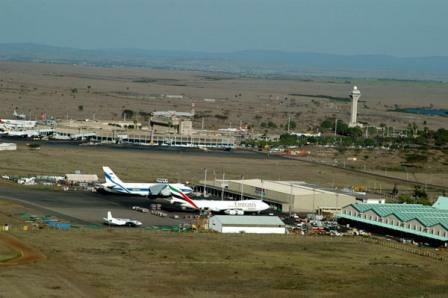 For those brothers intending to put on Ihraam in Nairobi, next to Gate 6 go down the corridor and turn right towards the Kenya Airways/KLM transit lounge which is on the left. Next to it on the right there are toilets WITH shower facilities. Adequate space to put on Ihraam in the shower area. PLEASE CHECK WATER SUPPLY BEFORE PREPARING TO TAKE A SHOWER. Ladies could perform prayers in the transit lounge or in the prayer area near Gate 12. Some form of bedding could come in handy for a short nap on the floor if transit time long. Many duty-free shops in the transit lounge. 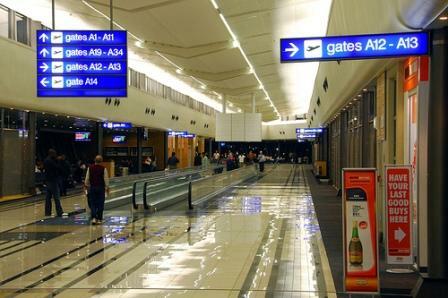 Kenya Airways transit check-in desk is located at Gate No. 6 and just opposite this is the Ethiopian Airlines transit lounge. Negotiations could be made to remain in this area by paying $20 per person. This area is air-conditioned with comfortable sofas, male and female toilets. Drinks and snacks are also sold here. Nairobi to Jeddah is direct with no time difference, flying time being approximately 4 hours. Lusaka to Johannesburg flying time 2 hours. Many airlines operating this route. No time difference between Lusaka and Johannesburg. Transit desks congested and appear somewhat chaotic not knowing which queue to join. No toilets or eating facilities in the transit desk area. Selected toilets have squat pans with running water in the toilet. However, advisable to carry jug/bottle for water usage in toilets. No special area for donning Ihraam or for prayers. Segregated prayer area available in the main departure hall, not in the transit area. In-transit hotel available for resting/sleeping if transit time too long. However, pre-bookings are essential. Lusaka to Addis flying time is 4 hours. 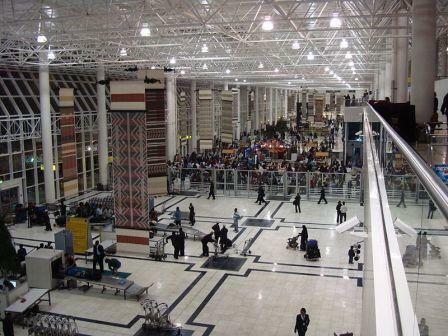 Addis time is 1 hour ahead of Lusaka. Excellent food and service on board. Addis airport has a secluded “Muslim Prayer Area” both for males and females. Very good Wudhu facilities next to the above mentioned “Mussallah”. Addis is very cold; need warm clothing before being in Ihraam. Eating facility not recommended - carry dry foodstuff and canned drinks with you. Flying time Addis to Jeddah is 2 hours. No time difference between Addis and Jeddah. Food on board very good, especially fresh fruit juices and fish. 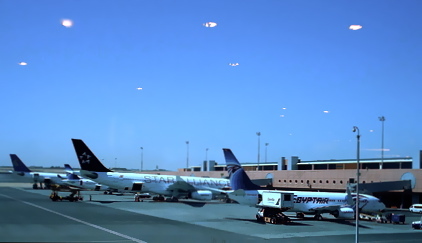 Cairo airport has two terminals -these do not appear to be marked. One terminal has very poor toilet and Wudhu facility, (two toilets only for all arriving passengers of your Airbus, in addition to those who are already there!). Very little space and privacy to put on Ihraam. Females have to pass through male toilet area to use female toilets! [This is supposed to be a Muslim country!]. The other terminal has good toilet facilities and spacious area to put on Ihraam. This terminal also has a good restaurant and apparently has a transit hotel facility. Choice of terminal is not up to you - it will depend on how many hours you are in transit - usually 1.5 hours, (in this case you will be at the terminal with the poor facilities). You will be given a non-collapsible EGYPT AIR umbrella on your departure for Jeddah. Do not take it, as it will be cumbersome to carry it around. It is better to use a collapsible umbrella, white in colour, readily available at the Hajj Terminal, Makkah or Madinah. 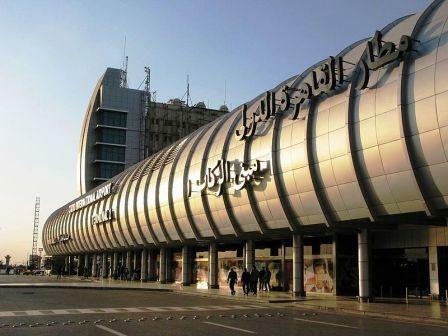 Flying time Cairo to Jeddah is about 2 hours.